Having plumbing resources readily on hand is essential to maintaining the good health of your home. You never know when a pipe is going to burst or when you’re going to discover the signs of a slow leak. But you don’t have to suffer from an emergency to benefit from a list of good plumbing resources. When the only toilet in your house is clogged or your sink is backed up when you are trying to get ready for guests, you’ll be glad to have the resources to find a quick solution. Integrity Repipe specializes in residential re-piping near Mission Viejo to replace faulty or damaged pipes. They can upgrade your plumbing if you have an older system or if your house has plumbing with older or inappropriate materials for the area. For example, copper pipes can corrode easily and are not always the best choice for Mission Viejo residential plumbing. Integrity Repipe specializes in newer plumbing systems in Mission Viejo like Pex for repiping. This flexible plumbing system is less vulnerable to damage, and it is easier to install, making it more affordable for many budgets. In addition to re-piping, Integrity Repipe also performs 24/7 emergency repairs and attends to issues like low water pressure, high water bills, and more. The experienced and friendly Mission Viejo plumbers at Integrity Repipe can inspect your system and make sure that it is operating safely and at peak efficiency. Call this plumbing company if you are having trouble with your plumbing or if you suspect that you may need re-piping near Mission Viejo. You’ll get professional service and reliable results, and the company’s well-established reputation will put you at ease. Express Pipe and Supply sells everything from plumbing hardware to new water heaters in Irvine, just outside of Mission Viejo. You can get a good deal at this company on faucets, new pipes, valves, and much more. Express Pipe and Supply carries plumbing supplies from top name brands at an affordable price. What is PEX repipeing and what does it involve Presented by Integrity Repipe Inc. In most cases, you will need to call an experienced plumber to do any plumbing work for you and the plumber will provide the materials. However, in some cases, you may be able to make a quick fix, like changing out a broken faucet, or you may be able to purchase supplies on a sale to provide your plumber for the fix. Express Pipe and Supply gives you some options for getting the plumbing supplies you need for you or your plumber to do the work. Hirsch Pipe and Supply actually has 20 locations throughout Southern California, giving you several options if you live in Mission Viejo. The company offers a wide scope of plumbing supplies and appliances, ensuring that you can find everything you need to repair or update the plumbing in your home. Of course, the same rules apply. You should always hire a plumbing company near Mission Viejo to do professional work on your home, especially if you are getting into making big repairs or doing re-piping. Only a trained and experienced professional can do that kind of work safely and properly. But you can coordinate with your plumber to get the needed supplies from Hirsch Pipe and Supply, or you can use the company to get supplies for smaller jobs or cosmetic upgrades that you want to make. Plumbing is an essential system in your home. If you neglect your plumbing or get the wrong people to work on it, you will put your home in jeopardy. 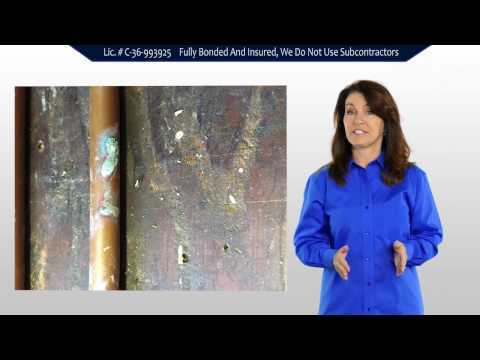 You might have a dramatic incident like a burst pipe, or you might experience something more subtle yet just as sinister, such as a slow leak that you don’t know is there until your floor boards are rotting through. By keeping this list of plumbing resources available, you can be sure that you are ready for anything that might happen. Always keep the number of a Mission Viejo trusted plumbing company at the top of the list, and work closely with your plumber to develop a maintenance program that will prevent unwanted emergencies.